Discover the magic of paragliding. This introductory paragliding course has been designed with carefully controlled fun in mind (and will deliver you incredible bragging rights). You will learn about the equipment, the basics of aerodynamics and how to judge the wind in order to fly. With an understanding of the theory in hand, you will practice launch skills on the ground with the goal of having you ready to fly in just four hours! Once you can demonstrate the ability to keep a straight line moving forward, you are then ready to try your first free flight. Tow launching is the easiest way to first experience paragliding flight. 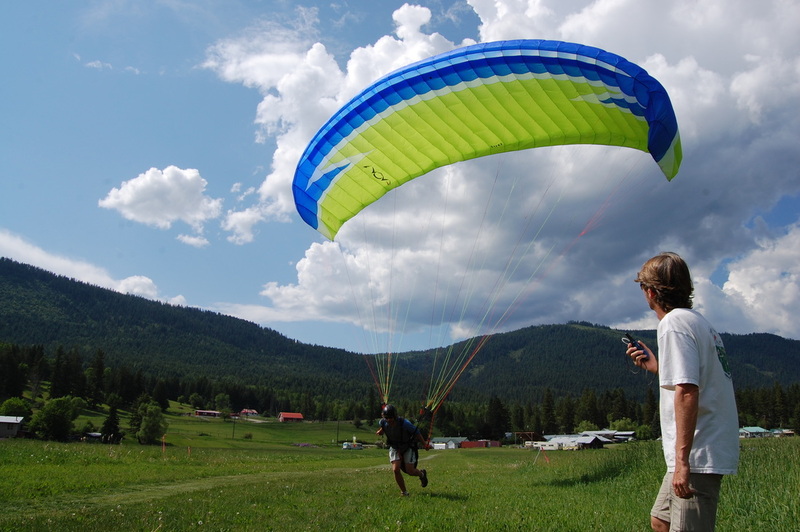 Launching from the flat grassy field and gently ascending to altitude eliminates the nervousness typically associated with running down a hillside to become airborne. Our hydraulic tow system is the only FAI certified and one of the best in the world. ​​Floating along and smiling down on the world, you will get a taste of flight and controlling the wing. Throughout the flight and your landing, our instructions will be ever present over the wireless radio to guide you to a gentle landing. Waiver forms: Signed forms must be provided to trainer prior to start of course. 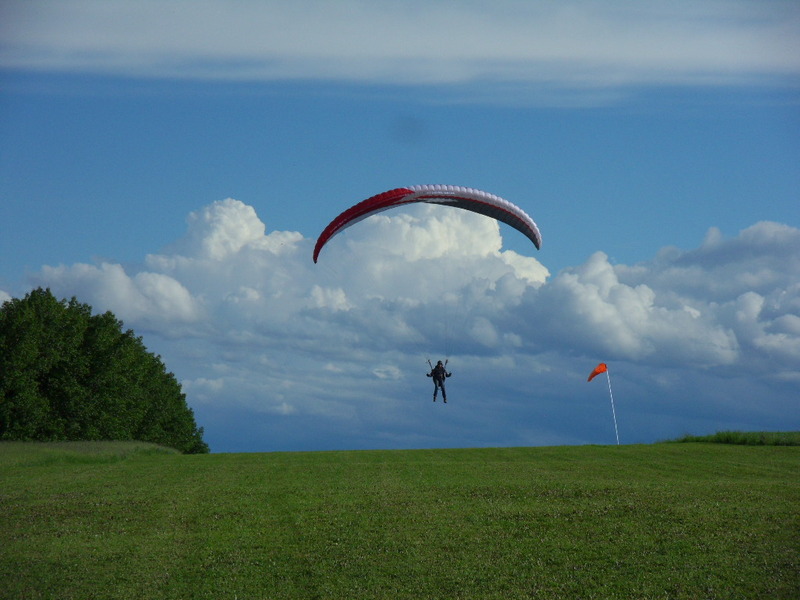 ​The purpose of the Novice Rating is to provide you with all the necessary skills to safely fly solo in novice atmospheric conditions (light winds and light thermals), at novice rated sites (generally gentle slopes with wide open places to lay out and launch and with large fields to land in). This rating will allow the pilot to fly most novice sites worldwide. 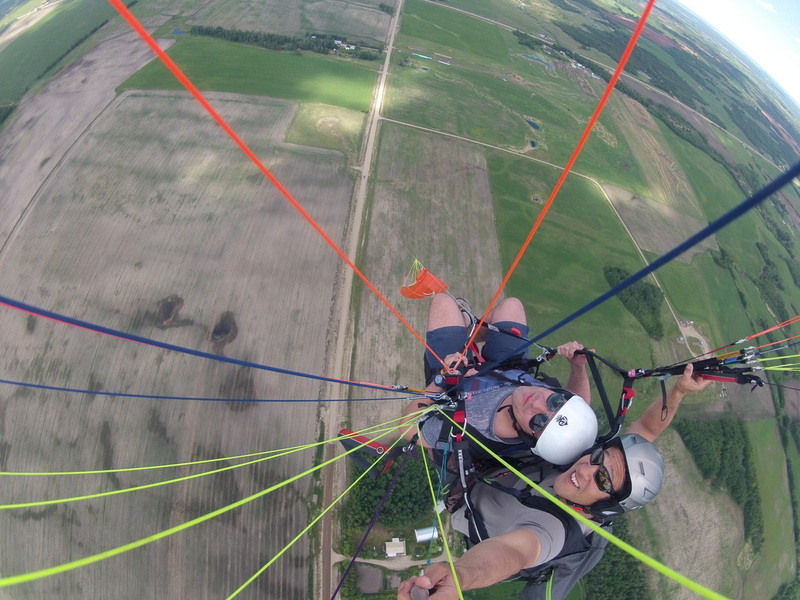 The novice training program is intense, but also a lot of fun, and takes a minimum of 25 high flights to accomplish. In addition, a written examination and a practical examination (flight test) are required. 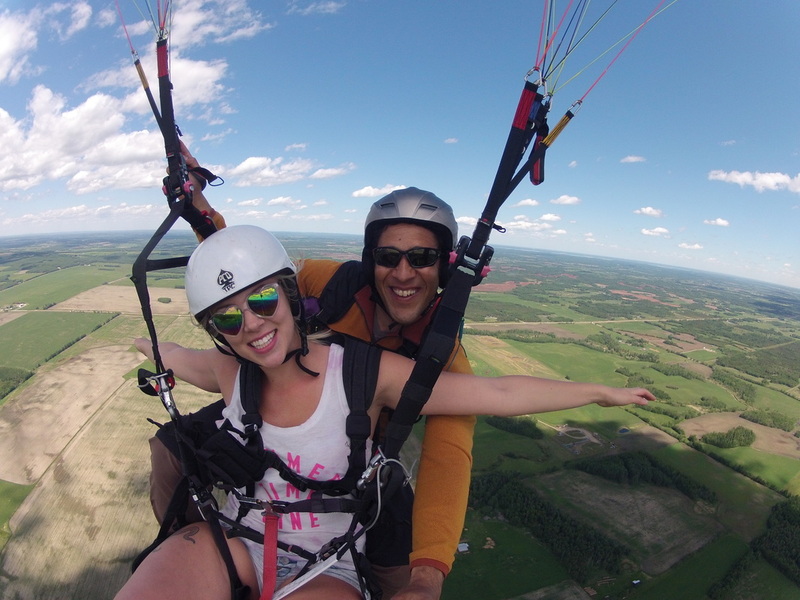 ​We believe that the safest and most rewarding way to experience any form of aviation for the first time is to be seated next to a qualified instructor and Paragliding is no exception. 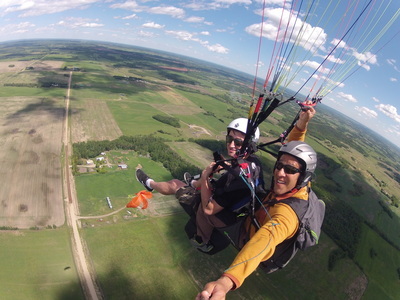 We specialize in giving people their first introduction to Paragliding in the safest and most logical way - aboard a tandem paraglider wing with a tandem instructor certified by the Hang Glider & Paraglider Association of Canada. From the moment you launch until you land far below, you will experience the exhilaration of free flight. There is no activity in the world that provides such a feeling of freedom and excitement. Once you have flown, the sky will never look the same. Life may never look the same! You don't need any previous flying experience, just good health, an able body, and the ability to do a few quick steps (we have to get off the ground!). - A willingness to experience the best that life has to offer!